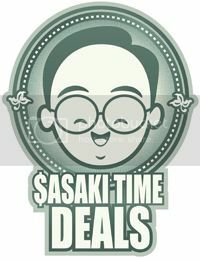 At Baskin-Robbins, buy one Lunar Cheesecake Cone and get a second cone of equal or lesser value for free via this printable coupon. (If the flavor of the month isn't available, you can substitute the flavor of your choice.) Waffle cones are excluded. Coupon expires May 4. Tron: Uprising is set between the two Disney movies and boasts an eclectic mix of notable actors for its voice cast (Elijah Wood, Mandy Moore, Emmanuelle Chriqui, Lance Henriksen, Paul Reubens and, from the films, Bruce Boxleitner is on board). The show will officially debut Thursday, June 7, on Disney XD, but you won't have to wait that long to see an episode of the show. Disney also plans a special half-hour Tron "prelude" next month, titled Tron: Uprising, Beck's Beginning, that will air on the flagship Disney Channel on May 18 (description below). And here's the show's official story description: "TRON: Uprising, Beck's Beginning," introduces a Beck, a young mechanic living in Argon City, a growing metropolis in a far off corner of the grid that has just been occupied by General Tesler, a henchman of the notorious Clu. After his best friend Bodhi is ruthlessly derezzed by Clu's army, Beck seeks justice for his lost friend and launches a crusade against the regime. His rebellion captures the attention of Tron, the greatest warrior The Grid has ever known, who sees the potential in Beck and trains him to be his successor. 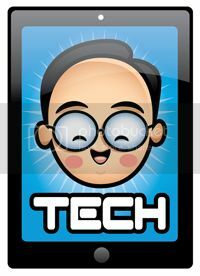 Labeled with the moniker of The Renegade, Beck sparks a revolution to fight for the freedom of The Grid." Root Beer Float Cupcake Recipe! Combine the above in a microwave-safe container and nuke for about a minute. Stir thoroughly even if it doesn’t look completely melted – It should come together after a bit of agitation, but if the chocolate still isn’t entirely smooth, return to the microwave for 15-30 seconds at a time, watching carefully to ensure that it doesn’t burn. Drizzle ganache in squiggles over the tops of the cupcakes. [You'll probably have plenty of left over ganache, but is that a particularly bad thing?] Allow ganache squiggles to fully cool and dry before preparing the frosting. Preheat oven to 175 C (350 F) and prepare muffin tins by lining with paper cups. Spray cups lightly with cooking spray. Recipe makes about 20 cupcakes. Cream butter until light and fluffy; add sugar and cream till light and fluffy, scraping down sides halfway through to ensure even mixing. Add eggs one at a time, beating for 30 seconds each. Scrape down sides after each egg to ensure even mixing. Sift together flour, salt and baking powder. In another bowl, mix together coconut milk and vanilla. Add a third of dry ingredients to creamed butter, sugar and eggs mixture, then half the coconut milk mixture. Continue alternating dry and wet mixtures, ending with dry. Stop mixing just as ingredients become incorporated; do not overbeat or cupcakes will be tough. Gently fold in coconut. Scoop into cupcake papers about a half to three-quarters full. Bake 18-22 minutes, rotating pan after first 15 minutes to ensure even baking. Cupcakes are done when toothpick inserted into centre comes out clean. Let cupcakes cool for a minute or two in the pan, then transfer to wire rack to cool completely. Make frosting: Beat butter until creamy, scrape down sides of bowl. Add sifted powdered sugar and milk. Beat until smooth. Add half toasted coconut and mix until combined. 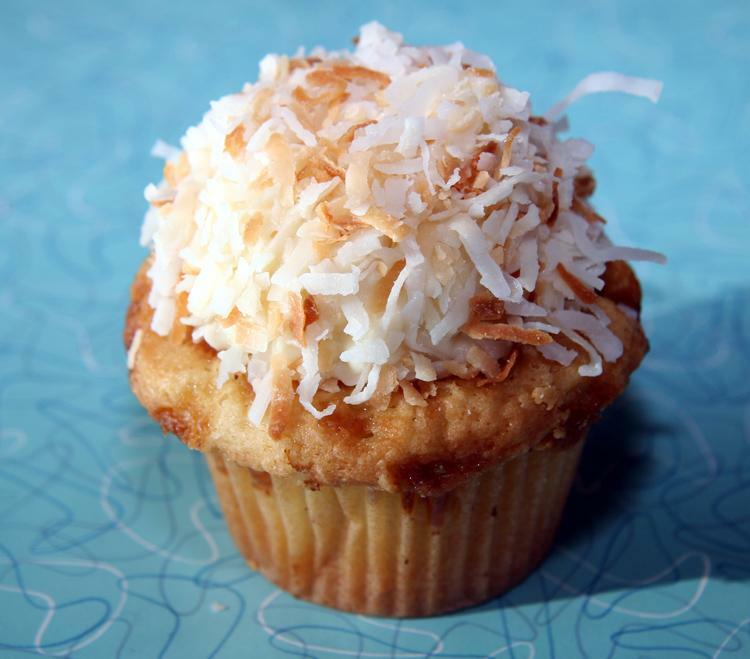 Spread or pipe icing onto cupcakes and sprinkle with remaining toasted coconut. 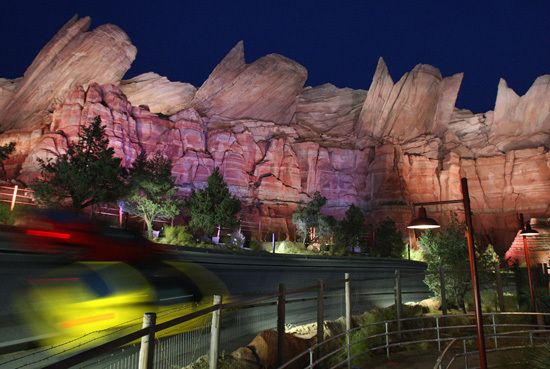 B-Roll footage of Cars Land and Buena Vista Street construction and ride testing at Disney California Adventure. Video copyright by Disney. 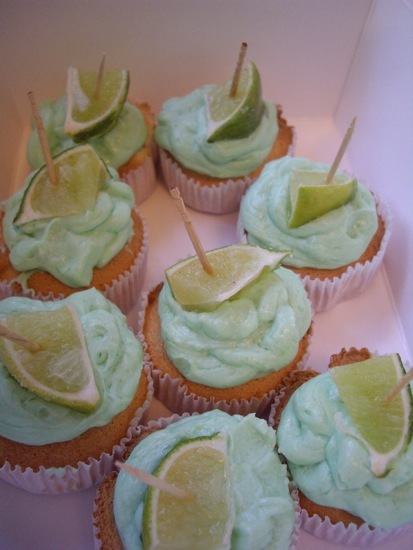 Gin and Tonic Cupcake Recipe! Preheat the oven to 325° Fahrenheit. With an electric hand mixer, beat the egg whites in a large bowl with salt and cream of tartar until they are risen. Now beat in the sugar, a couple of tablespoons at a time, sprinkling it over the egg whites and beating about 20 seconds with each addition. Fold the sifted flour into the meringue in three stages, and then stir in the tonic water. Arrange muffin paper baking cups inside a muffin tin and fill two thirds full. Bake for 15-20 minutes until lightly golden on the surface and still springy to the touch. Remove and let cool. Spoon mascarpone into a bowl and beat in the gin and then the syrup and tint it the palest green with a little food coloring. Fill a icing bag or ziploc with the tip cut off to frost the cupcakes. 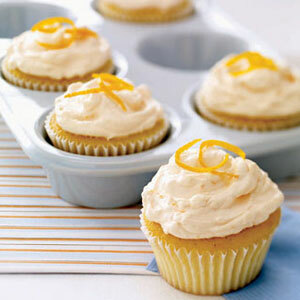 Use a decorative toothpick to spear lime slices in sugar or jellied candies and insert one into each cupcake. 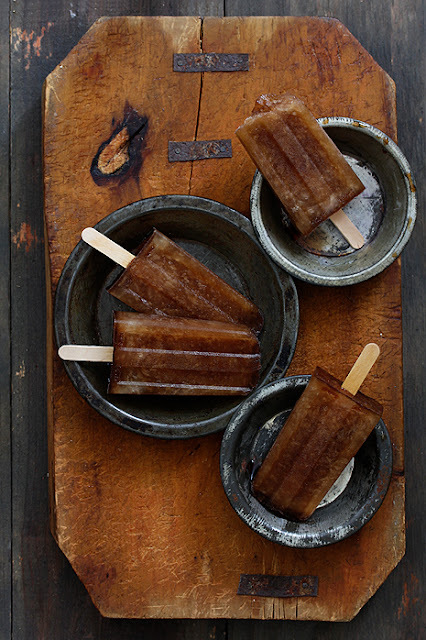 Three Musketeers Kahlua Poptail Recipes! 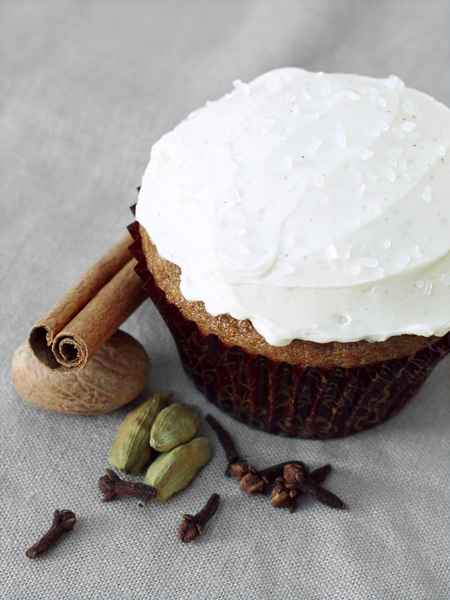 Spiced Chai Latte Cupcakes with Cinnamon Swiss Meringue Buttercream Recipe! Heat soymilk in a small saucepan or microwave until almost boiling. Remove from heat and add tea bags. Allow to steep for 10 minutes, then remove teabags, squeezing out as much soymilk as possible. Re-measure, and add more soymilk to make exactly 1 cup. Whisk in cider vinegar, and side aside until curdled. In a large bowl, sift together the flour, cornstarch, baking powder, baking soda, salt, and spices. Pour in soy milk mixture, along with oil, sugar, and vanilla, and stir just until no large lumps remain. 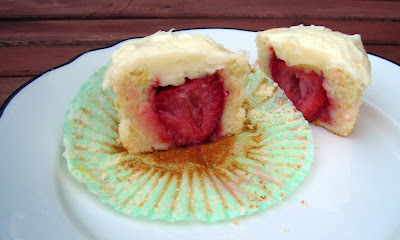 Lemon Cupcakes with Fresh Strawberry Center Recipe! Preheat oven to 350. Grease and flour or line 12 wells in a cupcake pan. In a large bowl, cream the butter, zest and sugar. Add the lemon juice and the eggs. Beat to combine. The mixture may look a little curdled but that is okay. Mix in the buttermilk. Continue to mix and slowly add in the flour. Beat the batter an additional 2 minutes, until light and fluffy. Pour an even amount into each cupcake well, filling about 3/4 of the way. Place a whole strawberry, point side down in the middle of each cupcake. Bake 15-20 minutes or until a toothpick inserted on the outside of the strawberry comes out clean. Cool in pan briefly, then remove from the pan and cool completely on a wire rack. Ice. 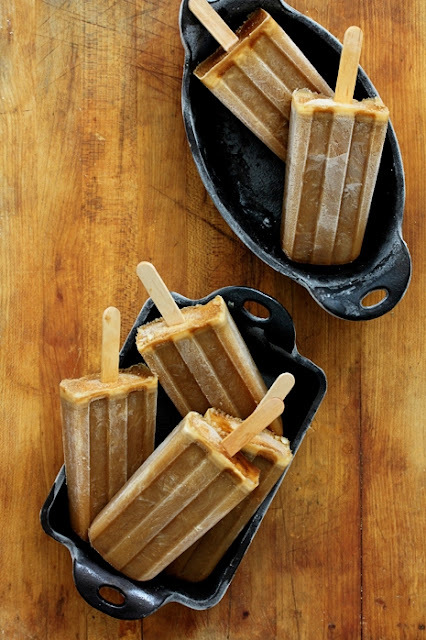 Bourbon Butterscotch Latte Popsicle Recipe! In a sauce pan, bring Coca-Cola, oil, margarine, and cocoa to a boil, mix the sugar, flour and salt, Pour in the boiling liquid and beat well. Add the eggs, buttermilk, soda, and vanilla and beat well. Pour into a greased and floured sheet cake pan, and bake at 350 degrees F for 20-25 minutes. 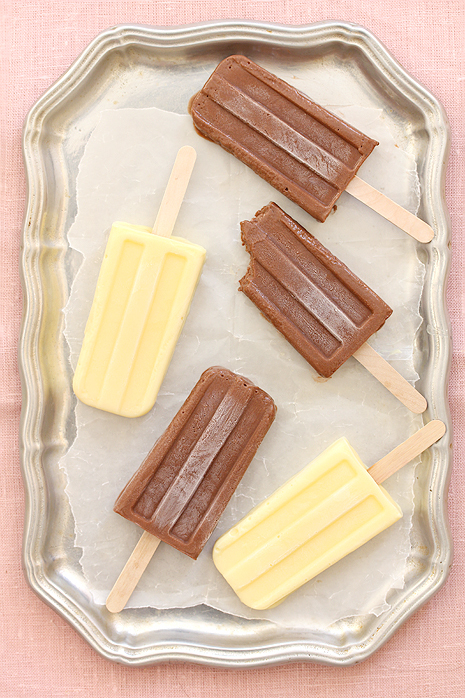 For Frosting: In a saucepan, combine the butter cocoa, and milk and heat until the butter melts. Beat in the remaining ingredients and spread on the hot cake. Cool and cut. Coolest Pic You'll See Today! 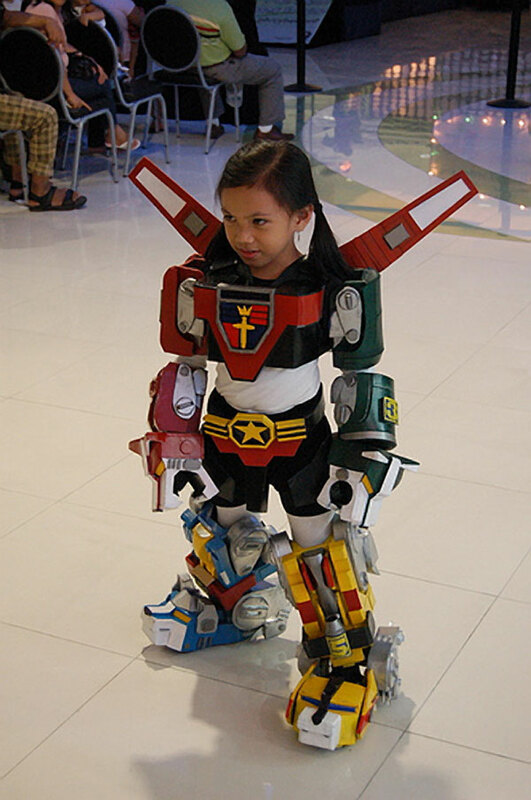 Who wants to make me this costume? Oh and you also have to make me the blazing sword to go with it! Thanks in advance! LOL! 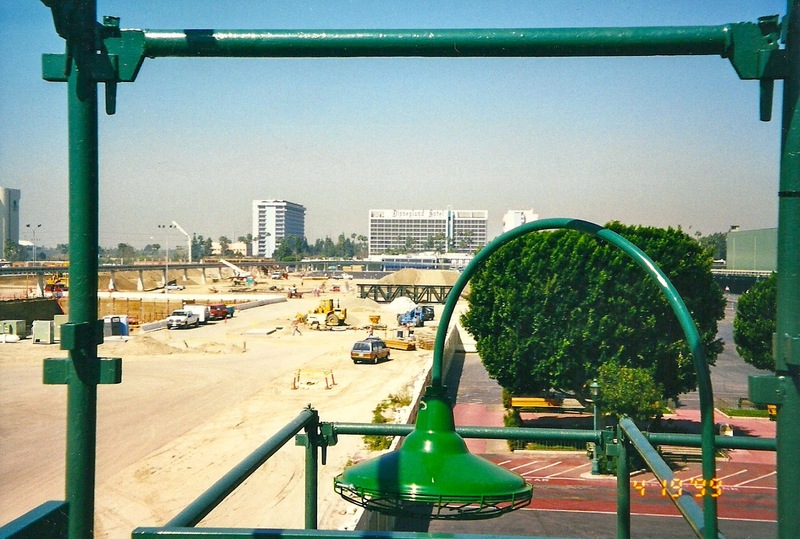 As Disney California Adventure Park nears the end of a $1 billion plus expansion, I thought it would a great time to take a look back as the park was being built! Here is a look at the building of Soarin' Over California! One of the first pieces of concept art for California Soarin'. That's right, it was going to be called California Soarin'. I'm sure with California Screamin' that no one wanted two similar sounding attractions in the same park. 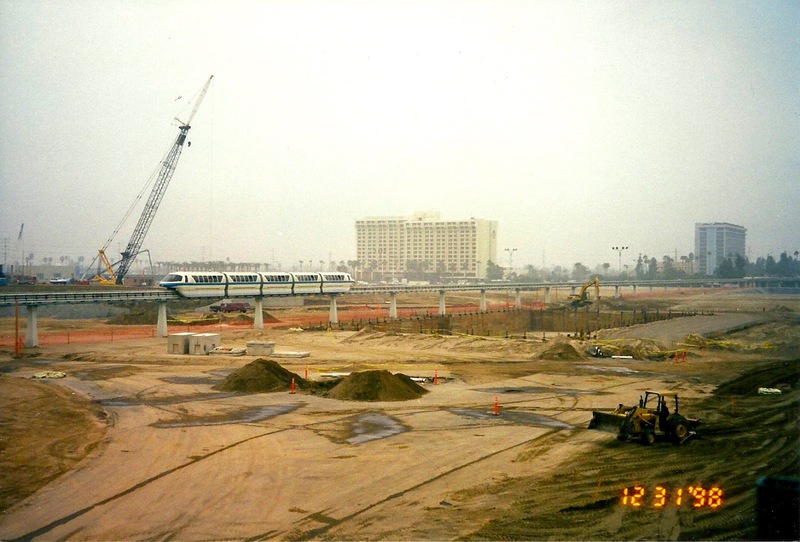 Starting with the very last day of the year in 1998, the big hole in the ground to the right of the monorail is the start of Soarin' Over California! Jumping ahead by nearly four months, it doesn't look like too much has been done. 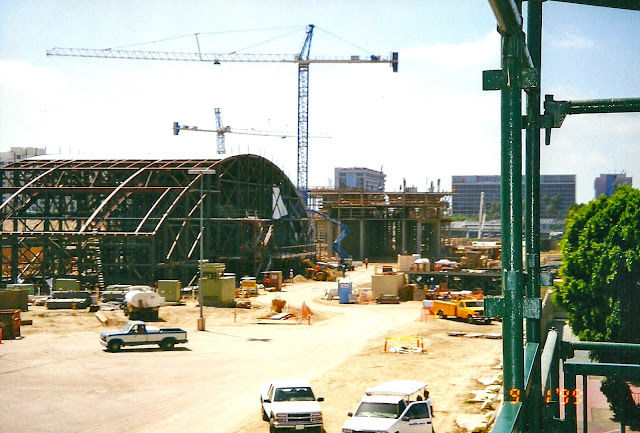 Near the center of the photo you can see part of the support structure for Soarin' Over California. It is the black support beam on the ground in the center of the photo. 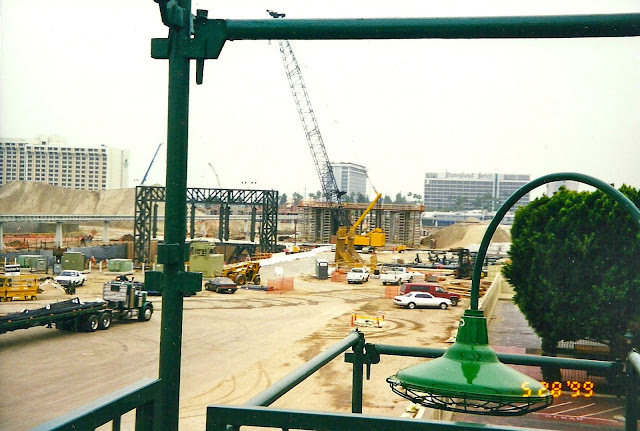 A month later, you can see part of the Grand Californian coming up. It is the structure to the top right of the photo next to the Soarin' Over California hole in the ground. A week later you can now see the support structure is starting to go up! 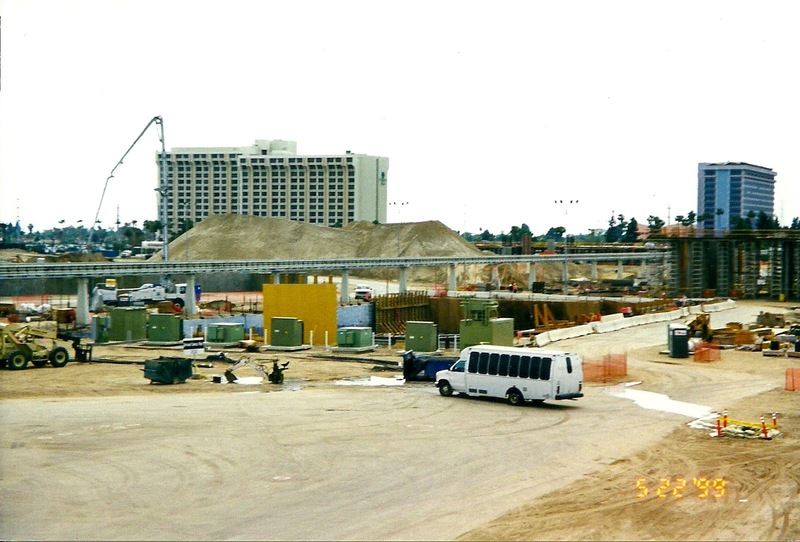 Moving ahead by 4 months you can see that now familiar shape of the Soarin' Over California building is really taking shape! And to wrap things up, here is a great photo I took in March on 2012! How fitting to take a photo of Soarin' Over California from the air! I hope you enjoyed this quick look back! There will be more photos in the very near future! Fill the cupcake liners 2/3 full to almost full, so that they have a nice rounded top like an apple. This batter will make 12 cupcakes. Bake for 15-20 mins. Test with a toothpick for done-ness. Heat oven to 350°F. Line 24 regular-size (2 1⁄2-in.-diameter) muffin cups with paper or foil liners. Make Cupcakes: Beat butter, sugar, baking powder, vanilla, orange juice and zest in a large bowl with mixer on high 3 minutes or until fluffy. Add eggs, 1 at a time, beating well after each. On low speed, beat in flour in 3 additions alternately with milk in 2 additions, just until blended, scraping sides of bowl as needed. Spoon evenly in muffin cups. Bake 22 to 25 minutes until a wooden pick inserted in center of cupcakes comes out clean and tops are golden. Cool in pans on a wire rack 5 minutes before removing from pans to rack to cool completely. 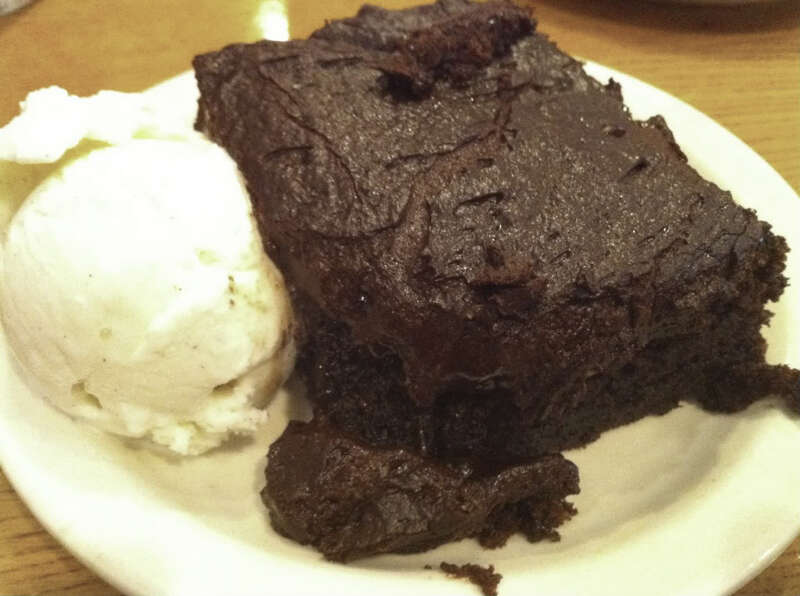 Frosting: Beat ingredients in medium bowl on medium-high speed until soft peaks form when beaters are lifted. Tint with food color; beat just until blended. 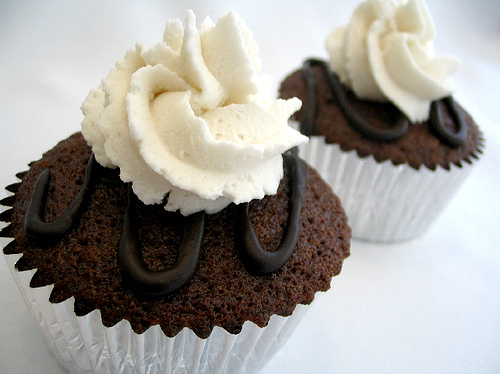 Frost and garnish cupcakes. Dragon's Lair with Kinect support! Dragon's Lair, one of the most beloved arcade games of all time can now be enjoyed from the comfort of your couch. This fully arcade authentic version includes all of the original scenes you've come to enjoy, and even full Kinect support so you can really show how well you wield Dirk's sword. Included with this ultimate edition are bonus Avatar items, Gamerpics and even a full watch feature to sit back and enjoy Don Bluth's stunning animation. In Dragon's Lair, you play the heroic Dirk the Daring, a valiant knight on a quest to rescue the fair princess from the clutches of an evil dragon! Find your way through the castle of a dark wizard, who has enchanted it with treacherous monsters and obstacles. Walt Disney Imagineers revealed new artwork and details about what Test Track will be like when it reopens in fall 2012 as an entirely updated experience with an interactive queue, futuristic computer design on the ride, and new post-show. 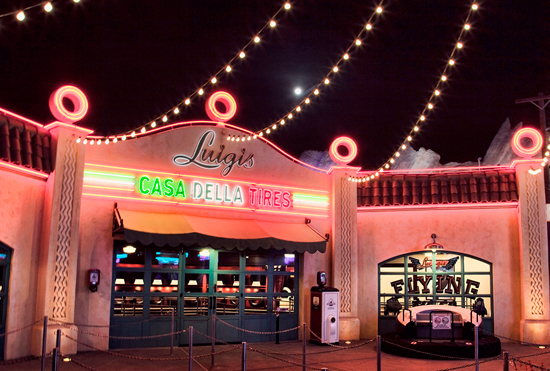 Visit http://www.InsideTheMagic.net for more about the Test Track update! 12-14 extra-large maraschino cherries with stems, drained and dried on a paper towel. Preheat oven to 350 and place liners in a muffin pan (12-14). Set aside. Weigh flours together, add sugar, cocoa and baking powder, salt and baking soda. Whisk. Add the hot water and stir. In a small glass container combine melted butter with the eggs and flavoring. Add to the flour/sugar/cocoa/hot water mixture and beat until the batter is smooth. Fold in the mini chocolate chips. Scoop into the prepared cupcake tin liners – about 2/3 full. Bake at 350 for about 18-20 minutes or just until a toothpick comes out with just a few crumbs. Cool for a minute in the pan. Remove the cupcakes from the tin to a rack to cool completely before frosting. Whip butter in a stand mixer using a whip attachment until slightly fluffy. Sift the powdered sugar (yep, twice sifted) and mix on low until it’s mostly mixed in. Add in the vanilla flavoring and start to whip on medium high to high. As it needs it, add the cherry juice/liqueur one tablespoon at a time and keep whipping for about 4 minutes total. You want the buttercream to be rather thick but smooth enough to pipe. Add more liquid if necessary and whip some more. You also want it to be a pale pink color. So add more liquid if needed and use that extra powdered sugar to thicken the mixture if necessary. 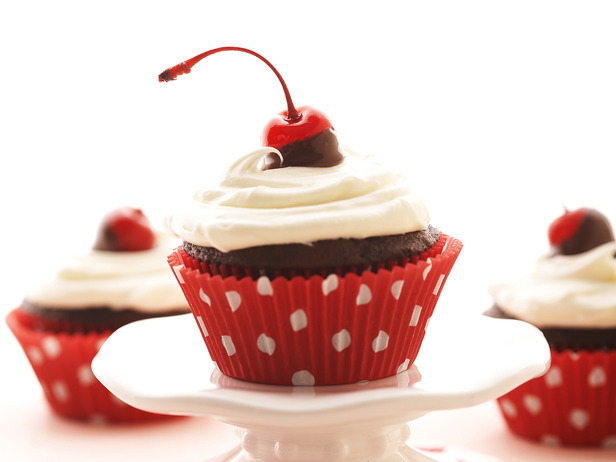 Pipe or spoon onto cooled cupcakes and top with cherry. Zooming by at Lightning Speed! Do you see a car in the rockwork? Can't wait to stroll down the street at night while sipping on a nice cold Red's Apple Freeze in my hand! 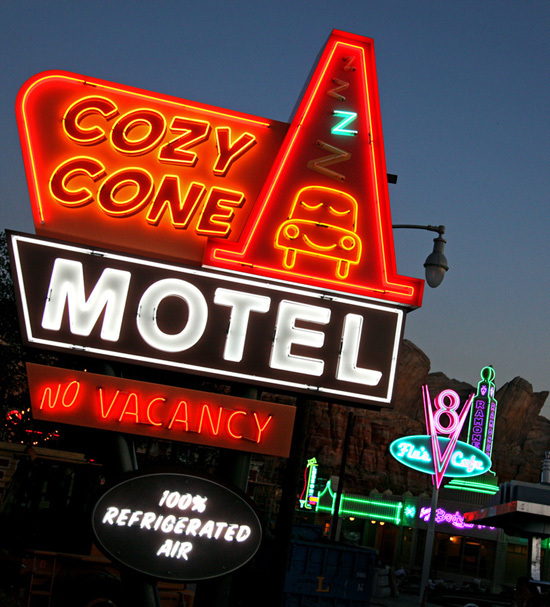 Amazing neon light looking down Main Street of Radiator Springs! 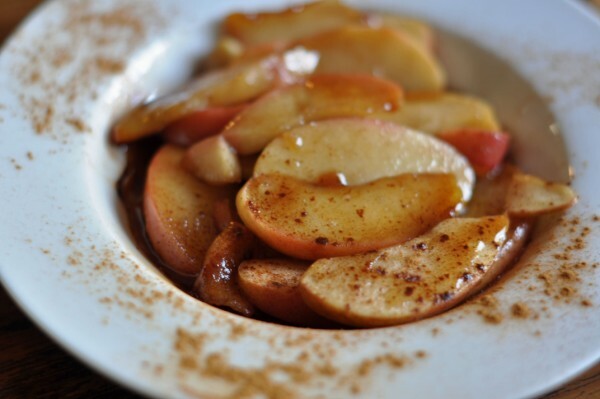 Copycat Recipes: Cracker Barrel Fried Apples! Combine first measure of apple juice and apples in a medium skillet. Simmer gently and turn apples often with spatula until fork tender but not mushy. Remove with a slotted spoon to oven dish. In blender puree 1/2 c apple juice, cornstarch, spice and sugar. Blend a few seconds until smooth. Stir into hot juice in skillet and cook, stirring constantly on med-high until it bubbles and becomes thickened and smooth. Turn heat off. Pour over apples. Serve warm as side dish or dessert. Refrigerate to use in a few days or freeze. For Jedi Kitties Only! 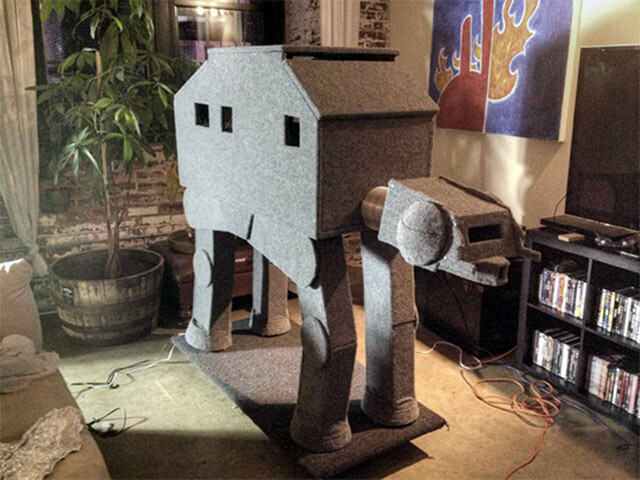 Giant AT-AT Cat House! How awesome is this? If I had a cat I would want something like this! 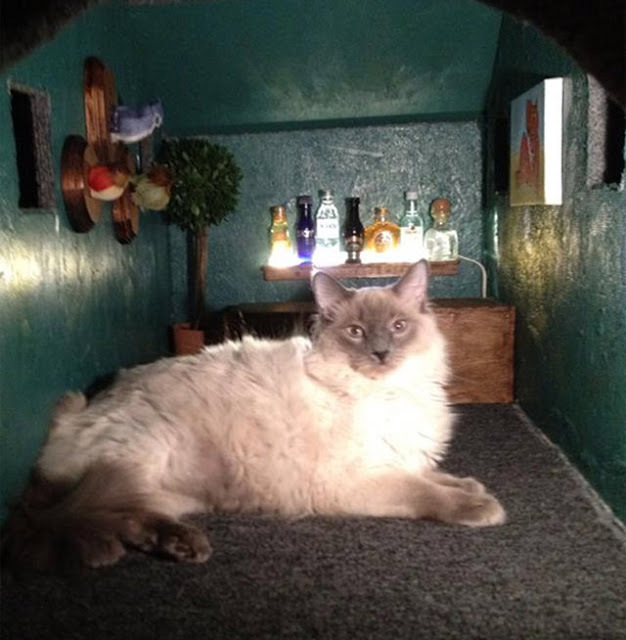 Wait - the inside is carpeted? It has bird head mounted trophies and a bar? Lucky Kitty! 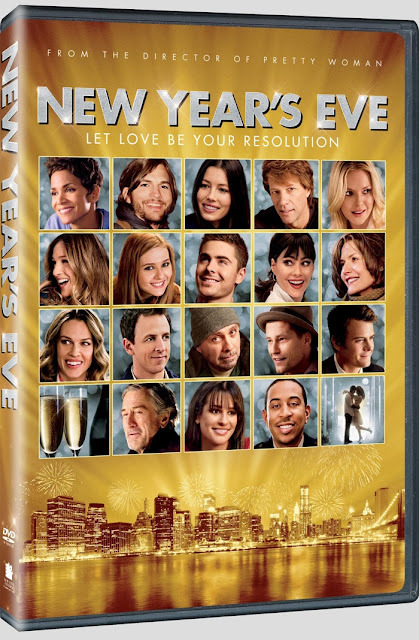 Warner Bros. New Year's Eve DVD Giveaway and Exclusive Resolution Reset Blog App! The giveaway starts at 8am PST on Friday April 27th and ends at 7am PST on Tuesday May 1st! 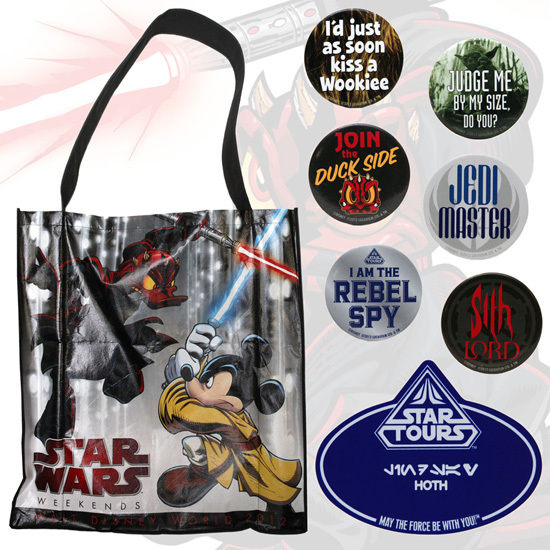 I love the Star Tours nametag with the name written in Aurebesh, one of the alphabets used in the Star Wars galaxy. I hope these will make it's way to California! Symantec gives you a behind-the-scenes look at the making of "Marvel's The Avengers" and tracks our heroes' genesis from the page to the screen! Assemble with "Marvel's The Avengers" in IMAX 3D May 4! 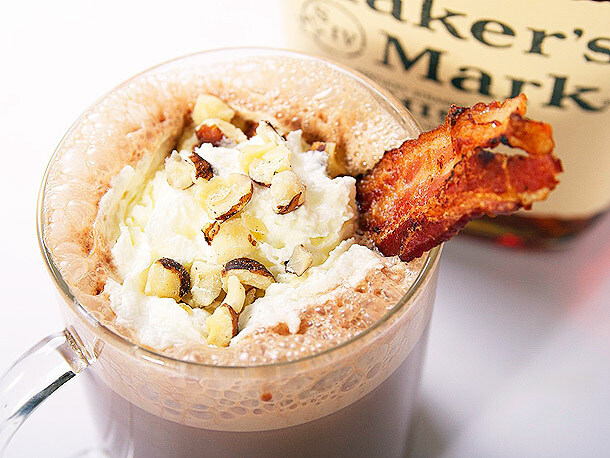 Bacon, Bourbon, and Hazelnut Hot Chocolate Recipe! 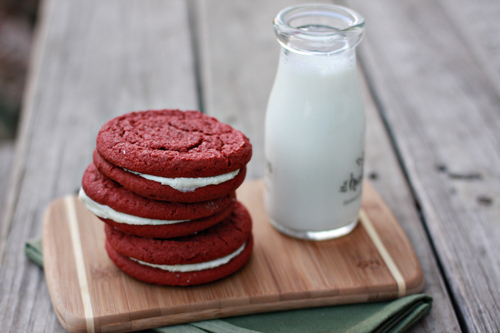 Red Velvet Sandwich Cookie Recipe! Preheat oven to 375 degrees F. In a large mixing bowl, cream together butter and sugar. Add in egg and beat well. Beat in vanilla and red food coloring. In a separate bowl, whisk together flour, cocoa powder, baking powder, baking soda and salt. Stir the dry ingredients into the wet. Preheat oven to 350 degrees F. Mix together cake mix, eggs, oil and flour. Scoop onto lined baking sheet. Bake at 350 degrees F for 10-12 minutes. Allow to cool. Spread one cookie with filling and top with a second cookie. The Coolest Pic You'll See Today! 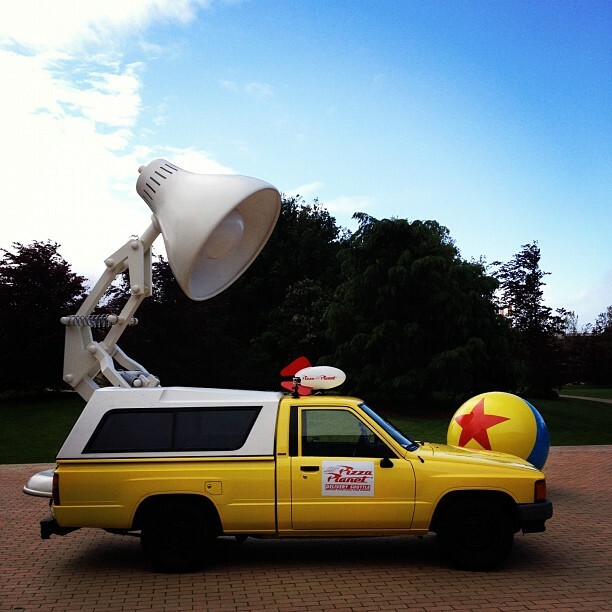 That's a Pizza Planet Truck at The Pixar Animation Studios! This was project from a group of friends who recreated the iconic Pizza Planet Truck with the sole purpose to drive it to Pixar! When it comes to a Draft, who better to consult than a Scotsman in a kilt? 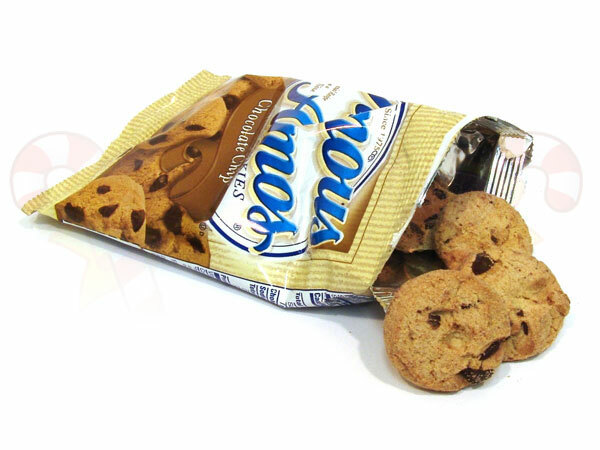 Copycat Recipes: Famous Amos Chocolate Chip Cookies! Combine as listed and shape into 2" balls 2" apart on ungreased cookie sheets. Bake at 375 degrees F for 15 minutes. Transfer at once from baking sheets to paper toweling to cool. These freeze well either before or after baked. Peel and square off potato ends. Dry thoroughly with paper towels. Heat about an inch of oil (or enough to cover potatoes) in a large, heavy bottomed pot to 290 degrees. Blanch potatoes gently for about two minutes until cooked through but still completely pale. Place on a paper-towel lined sheet pan and cool in the refrigerator to stop cooking process. Re-heat oil to 370 degrees. If necessary, agitate gently with a spatula to prevent sticking. Remove from pan and toss with salt to taste (Myers doesn't blot but you can if you want less fat). Serve immediately. Recipe serves 4 to 6. New Year’s Eve on DVD! 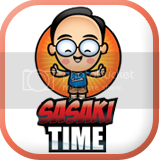 This all star comedy stars Ashton Kutcher, Michelle Pfeiffer, Katherine Heigl, Sofia Vergara, Hilary Swank, Sarah Jessica Parker, Zac Efron, Jon Bon Jovi, and Josh Duhamel! The giveaway starts on Friday at 8am PST and Will last until Tuesday May 1st! 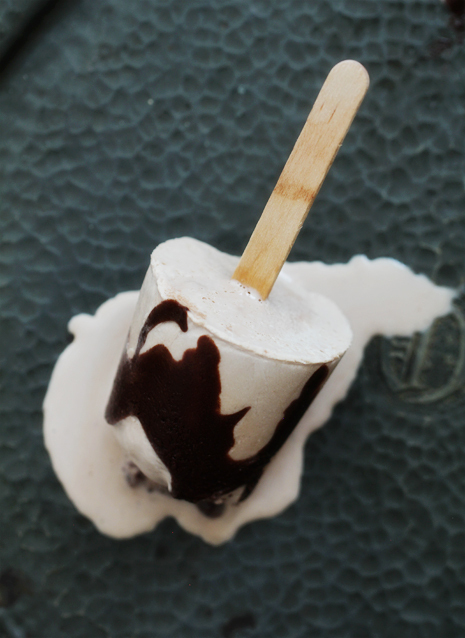 White Russian and Black Russian Poptail Recipe! Johnny Depp plays Tonto in The Lone Ranger, with Jerry Bruckheimer producing! The Lone Ranger gallops into theatres May 2013! John Lasseter with Directors Mark Andrews and Brenda Chapman! 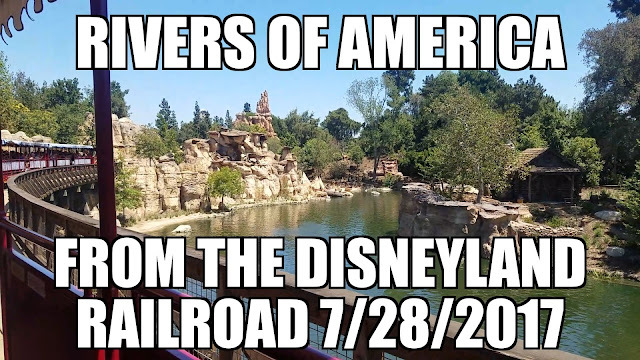 Brave opens in June! Kermit and Miss Piggy were both on hand to announce a new Muppet Movie! James Franco is Oscar Diggs/Oz in Oz: The Great and The Powerful that opens in March 2013! The beautiful Mila Kunis at CinemaCon! She plays Theodora in OZ: The Great and The Powerful which opens March 2013! Intense New 'Brave' Still Released! Shows that there will be some really great action in this film! June can't get here soon enough! Beautiful New Still from Brave featuring Merida! I am looking forward to this movie! June cannot get here soon enough! 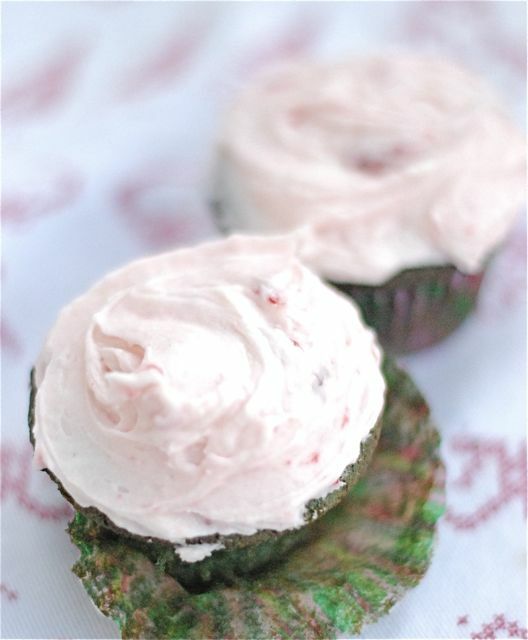 Blue Velvet Cupcakes with Strawberry Swirl Buttercream Recipe! 2. In a small bowl sift together the cake flour and salt. Set aside. In an electric mixer cream the butter and sugar until light and fluffy, about 5 minutes. Add the eggs one at a time, beating well after each addition. 3. In a separate small bowl whisk together the blue food coloring, cocoa and vanilla, add to the batter and beat well. Note, the batter has cocoa in it so it will take a quite a bit to turn it blue. 4. With the mixer on low alternate adding the buttermilk and flour mixture, ending with the flour. Finally, in a small bowl stir together the cider vinegar and baking soda. Add it to the batter and mix well. 5. Line a 12 cup muffin tin and fill each cup 3/4 full. Reserve the remaining batter for a second batch. Bake for 30 to 35 minutes. 6. To make the frosting: Add the butter, 4 cups of the confectioners’ sugar, the milk and vanilla to a mixing bowl and beat together. Add in the remaining sugar one cup at a time until thickened and fluffy. If you prefer thicker icing add the final two cups of sugar a little bit at a time, beating well after each addition. Finally, add the chopped strawberries and beat until just combined. On May 8, from 4 pm to 8 pm local time, participating Haagen-Dazs stores will offer a free single-scoop of ice cream to everyone during its Free Cone Day. No purchase is necessary. To find a participating store near you, click here. Check Out The Logo for The New Muppet Movie! Rare White Orca Spotted in Pacific Ocean! 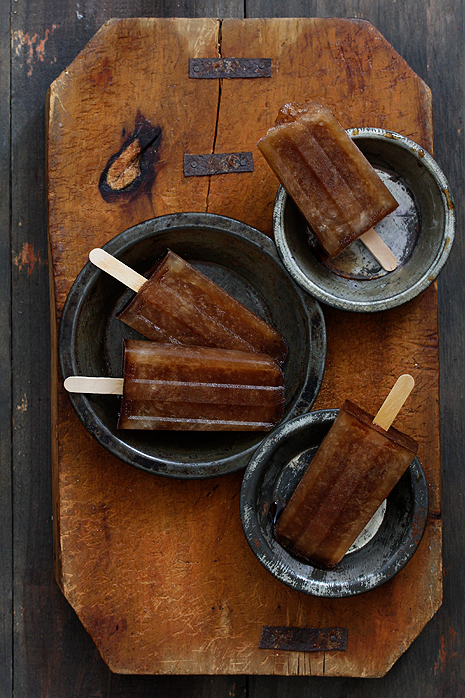 Raspberry and Kumquat Caipirinha Popsicle Recipe! Thai Ice Tea Cupcake Recipe! Final Trailer for Disney/Pixar's Brave! Mango Maui Mai Tai Poptail Recipe! 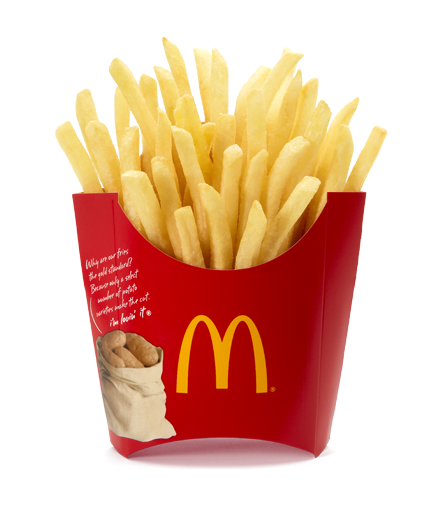 Copycat Recipes: McDonald's Fried Apple Pies! 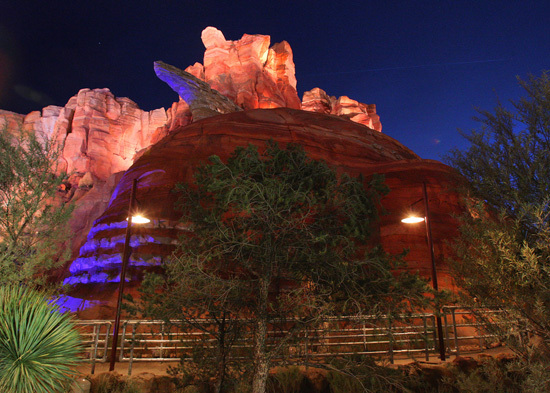 Happy Earth Month from The Disneyland Resort! 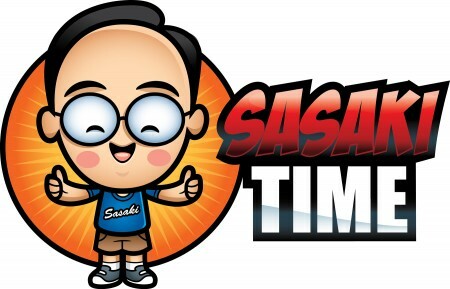 Happy Earth Day from Sasaki Time and Wall-e! Copycat Recipes: Hostess Blueberry Pies!